This page aims at promoting generic professional learning opportunities (face to face & online) featuring Adobe software for educators in the Asia Pacific region. 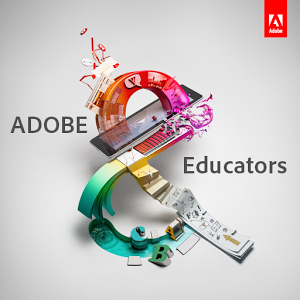 More information on professional learning with Adobe can be found via the Adobe Education Exchange. Create an animated web banner using Adobe Edge Animate! In this beginner-level session, you’ll learn how to manipulate the stage and animate text and shapes. Build your Adobe InDesign skills! Learn some advanced techniques for creating newsletters, including how to reuse settings from other InDesign files. F2F 405 Enhancing video production to help flip the classroom with Dr. Tim Kitchen. Find out the how’s and why’s of flipping your classroom. Learn how to make great videos using Adobe Premiere with Adobe’s education expert. Make some movie magic! In this session, you’ll learn how to use Adobe Premiere Elements to add a variety of cool visual effects to your movies. You’ll even learn how to use a green screen to put the subject of your movie in a whole new scene. Make movies for school events and class projects! In this beginner-level session, you’ll learn how to use Adobe Premiere Pro to manage assets; make simple edits; change footage speed; add transitions, audio, and titles; and export to common video formats. Make your infographics even more engaging. In this more advanced session, you’ll learn how to use Adobe Flash Professional to include user-driven navigation along the Timeline. Make movies for school events and class projects! In this beginner-level session, you’ll learn how to use Adobe Premiere Pro to key out a green screen background using the Ultra Key filter. Collaborate smarter! In this advanced-level session, we’ll focus on the power of peer conferencing using the PDF and voice commenting tools in Adobe Acrobat Pro. Make amazing videos using Adobe Premiere Pro, Photoshop, and After Effects together! In this advanced session, you’ll learn how to create eye-popping effects as you use dynamic linking among the three products.